I’m not into competitive cycling in any form, but I am excited to be heading to the Mont 24 Hour later this month. I’m looking forward to riding somewhere completely new to me and sampling some of Canberra’s fabled MTB trails, both in the day and night. 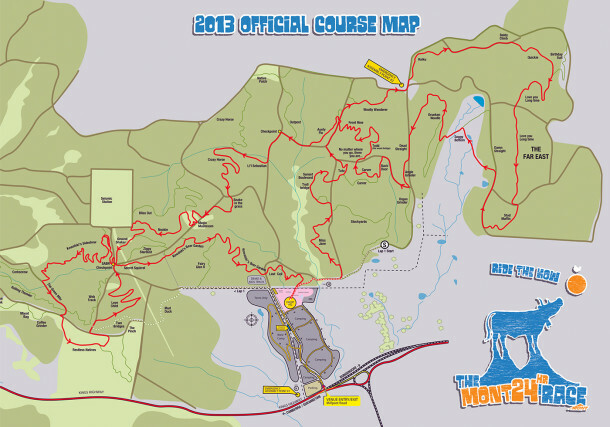 If the 18km course map is anything to go by it looks like it’ll be fun weekend. I’ll be hanging out at Camp BikeBox, thanks fellas! You lucky man! Can’t wait to read the race report. Yeah really looking forward to it Matt! Awesome Pete, you’ll love it, the Kowen trails will put a huge smile on your face for sure. Thanks Paul, The Mont is a great opportunity to get up to Canberra for me. Hoping to take some video and pics of the action while I’m there too.